Music is magic. It brings emotion and stirs our souls. My Christmas is not complete without music, for it is in music that I find peace and love. When selecting music for the “Magic of Christmas,” I wanted traditional carols that tell the story of the birth of Christ. I imagine the night long ago in Bethlehem as a beautiful starry night, quiet and serene, with a hush of anticipation. In the dark of the primitive stable, the quiet was interrupted with the cry of a baby. As the night progressed, the small cry of the infant was overshadowed by the flutter of the angel wings and heralding trumpets announcing His birth. The music presented in the “Magic of Christmas” is the story of that wondrous night set to music. Starting with a quiet overture and contemplative question “What Child is This?” and ending with the glorious carol of praise “Joy to the World,” this collection is a celebration of the birth of Christ. My wish for you is that your holidays be a glorious celebration with family and friends. May your days be filled with peace and love as we celebrate through music the Magic of Christmas! 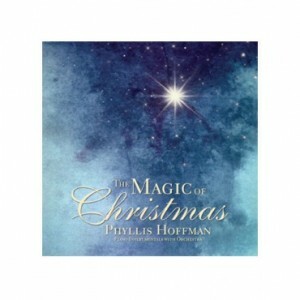 Purchase a copy of “Magic of Christmas” or enter to win one. Here’s how: Share this post via one of the social media buttons below, and then leave a comment telling me why you’d like to win. Write about it on Facebook, pin it to your favorite board on Pinterest or even send a tweet. Not a social media person? Just leave a comment instead. Best of luck! I would love to have this CD full of music that turns our hearts towards Christ. So much of society is taken over with the things of self and getting more and more for yourself. Jesus being born, is really THE best thing that ever happened to us! He is the reason for all our joy! Merry Christmas! Thanks for this opportunity to hear a beautiful reminder of what Christmas is all about! I would love to win this because: I love real traditional Christmas music. Secular Christmas music is OK, but each year the radio stations play less and less of the Christian Christmas music. Nothing wrong with Jingle Bells, but I don’t understand why songs that tell the real meaning of Christmas are now being almost totally excluded from radio stations and even Christmas concerts, and when they are in the line up, it is usually instrumentalist only, which is usually beautiful music, but the meaning is in the words. Makes me sad. I almost jumped for joy the other day while shopping at Home Depot and heard the Hallelujah Chorus wafting throughout the whole store. Yes, that’s what it’s all about! Joy to the world- the rain has come to Southern California. The garden is full of the sound of birdsong- but in the evenings- we need not new music- but the traditional songs to be heard in a new way. No news on TV equals the Good News and Great Tidings of Christ’s birth. This would be a wonderful addition to my collection of Christmas music. I feel the same way that you do, I love to listen to Christmas music that helps me to rembember the true meaning for the Season…Jesus Christ. I would like to win the CD to share with my family during Christmas Eve,.Thanks for this chance to win. Merry Christmas to you! Nothing like beautiful music to get us in the mood for the holiday, this sounds like a classic! Would love to win, hope your holidays are off to a wonderful start….. Thank you for the opportunity to win your Christmas CD. I enjoy Christmas music and would love to have your CD in my collection! May your Christmas be blessed with love, peace and joy. Merry Christmas! Beautiful Christmas music enhances what is already a wonderful time of year, a time to celebrate the birth of Baby Jesus. What a wonderful collelction of music this must be and we would love to be able to enjoy hearing it with family. I would SOOO love to win this! I recently moved back to Mich from AZ and all of my Christmas stuff, including my music, is still in storage in AZ. Really missing it right now! The radio stations are all playing secular Christmas music and I long for the beloved hymns about the birth of our Saviour! This is my absolute favorite Christmas CD. I play is continuously at my desk during Christmas. I work in a cancer center and my patients love it. So proud to tell them about the lady behind the cd. I can see you sitting there playing Phyliss. Love you and of course, love to listen to you play. Thank you. That makes me happy. Music is a language we all can understand and love. It is my passion. I am so glad you enjoy this. Love you. I am not savy enough to download music so I only have a few CD’s to listen to in my car and would love a new Christmas one! Thank You for using your talents so beautifully. The arrangement of each song is enduring. I love to listen to Christmas music! This sounds like a great collection. Would love to hear it! Would love to win it! Merry Christmas Phyllis! I would love to have your Christmas CD …..You are blessed with so many talents, but music is the first talent I knew you had! I love to listen to a good piano player and I know I would enjoy the songs you chose for this collection during the holidays…..Blessings to you and your family this Christmas!! Thank you for offering the Study Bible for Women and now inspiring Christmas music to go with it. God Bless you and Merry Christmas. Merry Christmas, Phyllis! I would love to add The Magic of Christmas CD to my collection of holiday music. It sounds delightful! Thank you! Two thousand and Fourteen years ago, Jesus Christ was born! The Magic of Christmas would be a wonderful way to celebrate our Saviour’s Birthday! 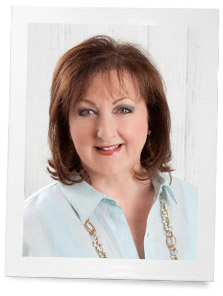 I’m like you…”my Christmas is not complete without music, for it is in music that I find peace and love.” I can’t tell you how much I appreciate what you have to say on your blog. Thank you for the beauty you display in spirit and in life. Christmas music is a way to worship The King of Kings and Lord of Lords. Music is an expression of the heart, comes from the heart and soul of a person. I find great joy in music and especially Christmas music as we worship the King! You write with such passion, beauty and truth and those words truly touched my heart. Christ is the reason and your many talents are a gift from him. I would love to listen to your CD as I reflect on my many blessings. Nothing puts me in the Christmas spirit more than Christmas music…and I could really listen to carols all year long….my favourite…”Oh Holy Night”. Thank you for inspiring all of us Phyllis at Christmas and beyond. talents with us. Look forward to reading all you do. What could be nicer than curling up with a cup of tea, reading my “V” winter magazine and listening to your wonderful Christmas music. Music is universal and this time of year those beloved carols and hymns are sung in many languages but all channeled to the same Divine Source. Thank you for the special opportunity. Wishing you and yours the most blessed season! You always have the perfect giveaway for any occasion. I would thoroughly enjoy The Magic of Christmas cd. Thank you for the opportinity to enter. I would love to win your CD as Christmas music just makes me feel good! I love Christmas music, and I listen to it all year long, to the surprise of people I know. Music is therapeutic for me. And, what better therapy at this time of year than Christmas music. I would so love to win this cd. Thank you for the opportunity! I would love to win your Christmas CD. That is the same kind of Christmas music I like also. I bought your CD An Evening In May and love it! I also bought one for a friend for Christmas. How does one woman get so many talents? Blessed much by God, that’s how. Thanks for all you create and share with us. Merry Christmas! Thank you for providing this new CD as a gift for someone. I love music also and find Christmas music brings a special joy to decorating activities and family gatherings. It touches the heart, inspires hope, and is a wonderful expression of the wonder of Christ’s birth. This is not to diminish the fun of Rudolph the Red Nosed Reindeer (especially for the kids)! But, I find the traditional carols bring warmth and comfort. It’s hard to imagine Christmas without the joy of music! I love Christmas music so much. Celebrating the birth of Christ through music brings so much peace and joy to many. I loved hearing you play at the Southern Lady conventions which I truly miss! I love Christmas music, and have been known to play it throughout the year. My favorite Christmas Carol is “The Holly and the Ivy”. It brings back beloved memories of my mother. I love the old traditional carols, they are the heart and soul of Christmas. The beautiful music and words recreate the birth of Christ. I love to listen to the carols as I sip a cup of tea and look at the beautiful live Christmas tree my husband and I lovingly decorate with our family heirloom ornaments. It truly is Peace on Earth. May your Christmas be blessed with love, peace and joy. 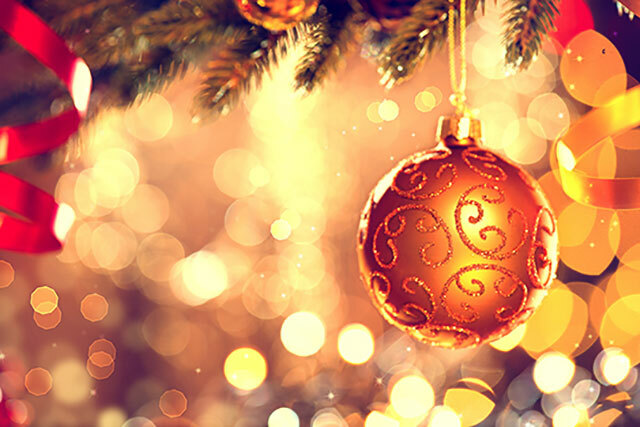 I enjoy Christmas music during the holiday rush–so soothing and wonderful! It would be a treat to win your CD. I love Christmas music also and listen while I bake, decorate the tree and I have the Dickens Village that takes me about 2 to 3 days to put up so I listen to a lot of Christmas music and would love to have your CD also. I would love to win this CD and share the splendor and magic of Christmas with my daughter. I have another one of your CDs. It’s absolutely beautiful! Would love to have this one, too! Oh, yes, Phyllis, that is what Christmas is all about, “God With Us.” Thank you for offering this CD – it will bring joy to all who hear it I’m sure. I would LOVE to win your Christmas CD. Christmas is my favorite time of year, and its music is a most integral part of it. Thank you for the opportunity. Merry Christmas! Christmas music is my favorite. I’m always looking for something new – a new style or type of music. Yours sounds great. Thanks. I’ve had your CD since it first came out (in 2008, I believe) and listen to every year since at Christmastime. It is absolutely beautiful!!! You are gifted in so many ways. Thank you for sharing your gifts with us. I have enjoyed listening to you play the piano for many, many years. It is always a treat to hear you play so beautifully. Would love to have the CD so that I can enjoy hearing your music and enjoying your God given talent. Thank you for the opportunity to win this…I love to listen to Christmas music from December 1st until Christmas Day (and beyond!!) and would love to have this to add to my collection! Merry Christmas! I would love to win this cd. Thank you for the offer.